Italian Herb Dressing. When I asked you awhile back about what kind of healthy dressing recipes you would like to see, a popular answer was a vegan Italian dressing. I had already created a Balsamic Vinaigrette. So I created an vegan herb dressing for you. 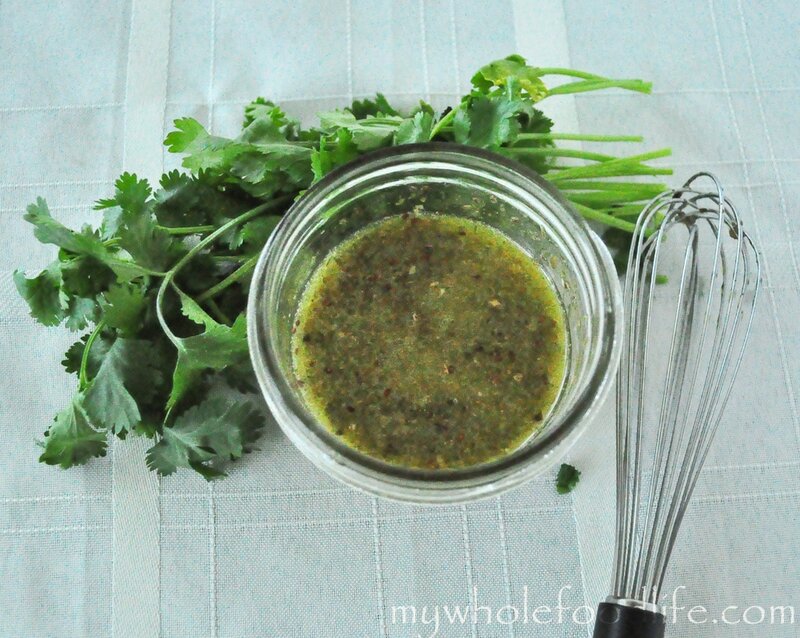 This healthy salad dressing is super easy to make as well. I used dried herbs, because that is what I had on hand. Feel free to use fresh ones as well. This dressing would make a great marinade as well. I am thinking of marinating some vegetable kabobs in this and then grilling them. Yum! Mix all the wet ingredients in a bowl . Mix all the dry in another. Add wet to dry and whisk until combined. Another way you can mix is to throw everything in a covered container and shake well. Keep in mind that since this is a homemade dressing, the oil will try to solidify in the fridge. If you plan on using the dressing, just pull it out a few minutes before you need it and then shake well before using. I got close to 1 cup of dressing. It should last in the fridge a couple weeks. Enjoy! Is there anything else I could use in place of white wine vinegar? I have ACV & plain white vinegar, would either of those work? You can try plain white vinegar. It may taste slightly different though. I would love to know the results! We love it with red wine vinegar. So tasty and simple to make. Great recipe! I am so glad you like it! Feel free to share and blog about it. I would love that as long as you link back to my blog in the post. Thank you. I will be posting next week. I've placed your blog name and link into my post. I also have it categorized by recipes from others. I can't wait to try this! I've been looking for a healthy salad dressing. Dr. Oz Keeps saying that "making your own dressing was easy and better for you", your recipes confirms it... Thank you! Hi love your recipes. Are these dried herbs? I have herbs growing in the garden and wondered how much fresh to use in place of dried. Thanks. Thank you! Yes I used fresh herbs in this.